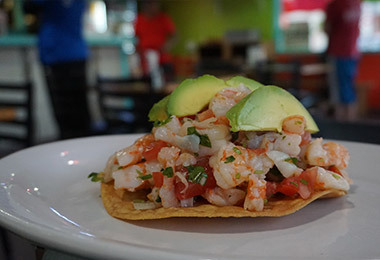 At Rose City Taqueria you will find authentic dishes you won’t find anywhere else. Order online in real-time & watch your order instantly confirmed! We accept cash or card upon pickup. 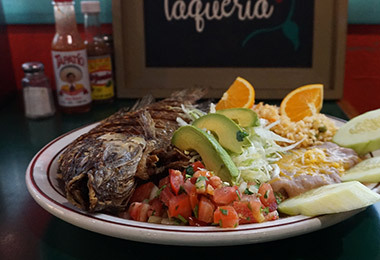 At Rose City Taqueria you won’t find overpriced Mexican Food or fancy dinner plates. You will find freshly made authentic dishes such as Caldo de Res, Birria, and Cóctel de Camarón priced just right. 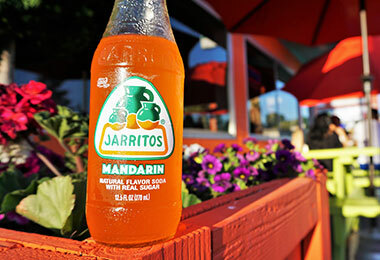 & be sure to try our agua frescas such as tamarindo and horchata, or our creamy flans! You’ll also find many our regulars including police officers and students who we take pride in feeding every day. 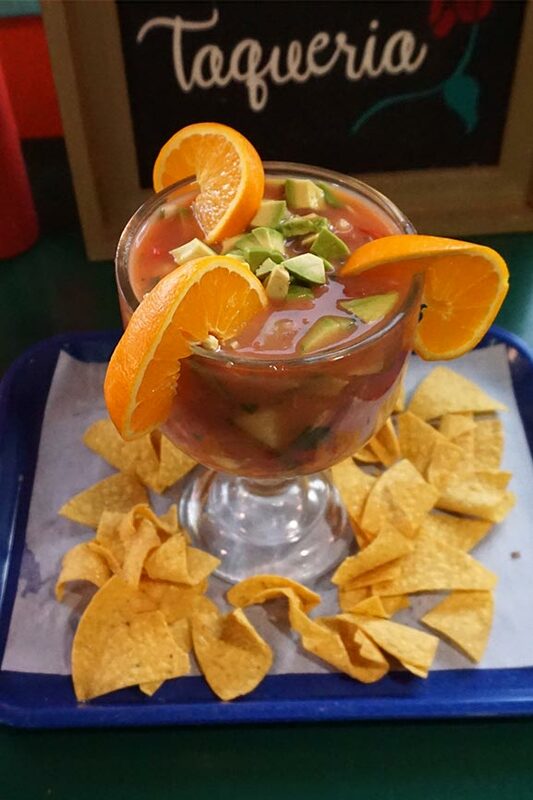 So come on by, we’ll be sure to satisfy your cravings for Mexican Food. WE TREAT OUR CUSTOMERS LIKE FAMILY, COME ON BY & SAY HELLO! Try our Coctél de Camaron! Mexican telera bread, onions, tomatoes, avocado, sauce butter, mayo, beans, and with choice of meat. Mexican refried beans, rice, lettuce, tomatoes, sour cream, & cheese. Your choice of meat. 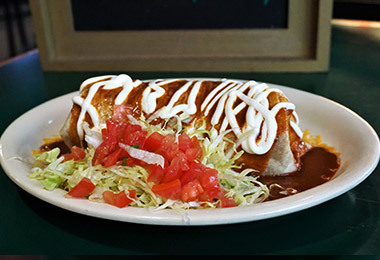 Mexican refried beans, avocado sauce, lettuce & pico de gallo served with corn or flour tortilla. Grilled Tiger shrimp, green bell peppers, onion, lettuce, served with rice & beans, avocado sauce & pico de gallo. Two tamales your choice of chicken, pork or rajas. Served with rice & beans, lettuce, tomatoes, sour cream & cheese. Made with beef shanks and vegetables like potato and cabbage- this Mexican beef soup is hearty, delicious and the perfect comfort food. A traditional Mexican dish from the state of Jalisco made with goat or beef in a succulent stew. 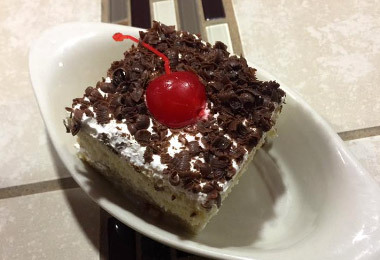 It is a family favorite for birthdays, weddings, and other special occasions. See why we have over 398 reviews on Google & a 4.5 Rating! This place is the BEST!! The prices are great, the food is always fresh and the staff works really hard to get your order correct and to you in a timely manor. There's never been a time I didn't have a good experience even during the busy times. My partner and I have been going here at least once a week for a year! We love it!! I was looking for a place with carne asada fries while I was staying in Vancouver when I came across this Rose City Taqueria. It's a cute little restaurant. There is some parking behind it and also plenty of parking on the street. I got a huge plate of carne asada fries! They were freshly made and it was packed with sour cream, guacamole, pico de gallo, cheese and carne asada. 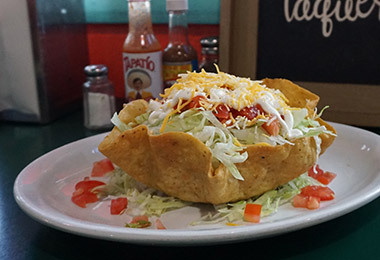 My cousin got a tostada and it was so big! It was also packed with a ton of stuff! Probably one of the best Mexican places I've found in the Portland metro area. It's cheap, authentic, and fast service. When we got there on a Friday around 6pm I was nervous when I saw the line of about ten people in front of us. But we had ordered and had our food in less than 20 minutes. Super fast service. Awesome little hidden gem in the heart of St. John's in north Portland. Found this spot by accident. Carne asada tacos are amazing and the esthetic reminds me of the taco stands in Mexico City. Grab a bear here with some of this awesome tacos and chill outside for the best experience. You can definitely tell it's a neighborhood favorite. We are located in the St. John’s Neighborhood, on the corner of Fessenden St. and N. Midway Avenue.